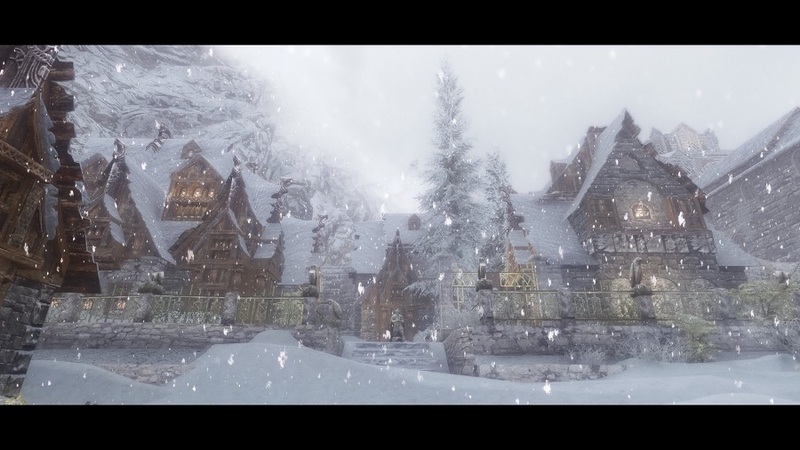 Adds thousands of pounds of snow to Windhelm, as well as makes it windier. Free to use with Credits, so long as your mod carries forward the same permissions. 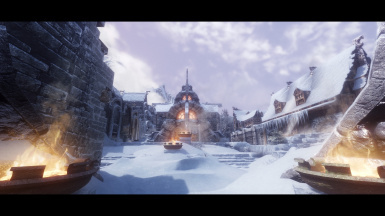 Snowy AF Windhelm, built from the lost and legendary assets of Snowy Windhelm (Steveo) and Quality Snow 4k (Yo), aims to better illustrate both the history and meteorology of the location. An ancient wind refuge, trapped in snow. 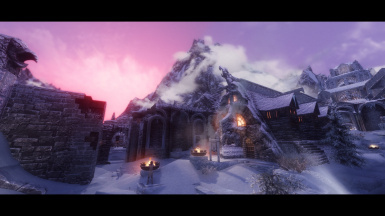 Windhelm, dating back to the late Merethic Era, is the oldest continuously inhabited human settlement in Tamriel, as well as the snowiest city in Skyrim. The city was founded by the Atmorans. 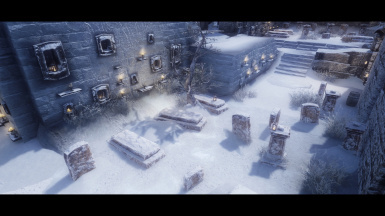 Legendary Ysgramir had the settlement built by captive elves to demonstrate defiance and dominion over the very winds that killed his son, Yngol, the first child of the sky, on his voyage back from Atmora. 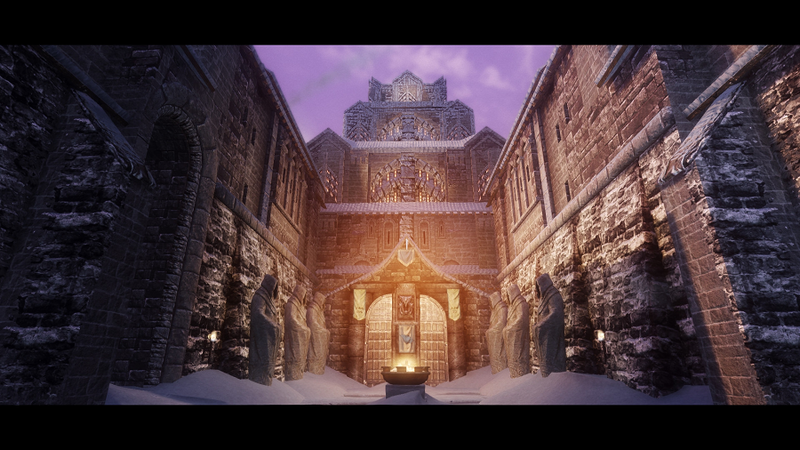 Constructed at the convergence of the Yorgrid and White Rivers, Windhelm's location offered a strategic position. The walls were built high to protect from the battling winds of the Sea of Ghosts, Yorgrid, and Eastmarch Valleys. Though the high walls offered protection from violent winds, they served to trap the incessant snowfall of the region. 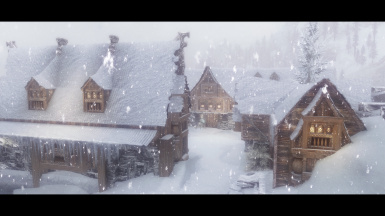 Let Snowy AF Windhelm overwrite DynDoLods resources once DynDoLods for SSE is released. Massive thanks to SteveoWasHere and Yuril for their help and guidance, and to DonProtein for the video.